This has been one of the most hotly debated topics in the comic book and movie communities in recent years and understandably so: is the world ready for a Miles Morales Spider-Man movie? I can't speak for the world, but I know I have no interest in such a thing. Is it because I'm a racist bigot who has no room for progress in this white man world? I simply have no desire for Miles as Spider-man. And it's for no other reason than the fact that I grew up on Spider-man and have wanted to see him presented how I always saw him. And that was Peter Parker. I grew up on that 90s animated series where Peter Parker was always learning lessons and doing what's right, no matter what the consequences. I grew up listening to old records that were nothing more than a radio play, where imagination was full bloom but his strong character shined through. I grew up on video games where Spider-man was sarcastic, taunting his foes and always outsmarting them. 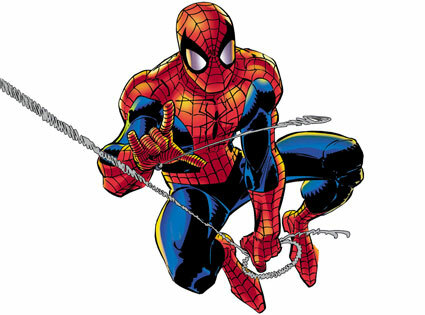 But most importantly, I grew up with a Spider-man that was considered the greatest superhero of all of them. I also grew up on Tobey Maguire as Spider-man. See, Maguire's Spider-man is a massive dork, equivalent to any stereotypical nerd in a 90's movie. He loves science and is ignorant to any normal teenage activities except for his undying crush for his neighbor, Mary Jane. The big problem with that is that he doesn't really change after becoming Spider-man. Sure, he feels guilt over Uncle Ben's death and being blamed for his best friends father's death but outside of a few moments, he's often the same as before. And that doesn't work. Peter is supposed to grow with each foe he takes on. Yet for some reason, nerdiness has been a defined trait for Peter Parker. Has anyone read the Spider-man comic's? Peter is pretty confident and sure of himself. Know why? Because he learns with each foe and doesn't just reset like a video-game system. He's ever evolving and learning big lessons with each villain he takes down. The movies don't really have that. Even Spider-man 3 Spidey felt like he was still in his infancy, let alone a seasoned veteran when he should have been given his years served. Still not sure where I'm going with this? My main reasoning for not wanting Miles is because we still haven't received the standard bearer for Peter Parker. In his various iterations, we've still yet to receive that version of Peter that has been present in video games, TV, and most importantly, comics. Sure, Andrew Garfield gave us an amazing Spider-man (heh, heh) but his hipster Peter Parker that mumbled more than he spoke normally? Not so fantastic. And Maguire's Parker, while more akin to the Peter we know and love, doesn't seem to grow throughout the series. And his Spider-man is pretty dreadful. I understand some fans being sick of seeing Spider-man and want something different. Those people don't seem to understand just how awesome Spider-man can be. We've gotten five Spider-man films in total, and none of them have really been home-runs. Seriously, go back and watch the Raimi trilogy and see just how dated it is. Even Spider-man 2, a film I once considered my favorite of all time, is stuck with so many ridiculous gags and over-acting that it makes it tough to watch. I won't even get into atrocity of Spider-man 3. The "Amazing" films get a lot of flack, and deservedly so for the ridiculous approach they took with Oscorp and everything involved with Peter's parents, but truthfully they're some of the more rounded Spider-man films out there. Had Sony not wanted to jump start their own Spidey-universe akin to the MCU by throwing too many plot elements, I think that the second would have been a big success. Why? Because Spider-man was awesome in it. 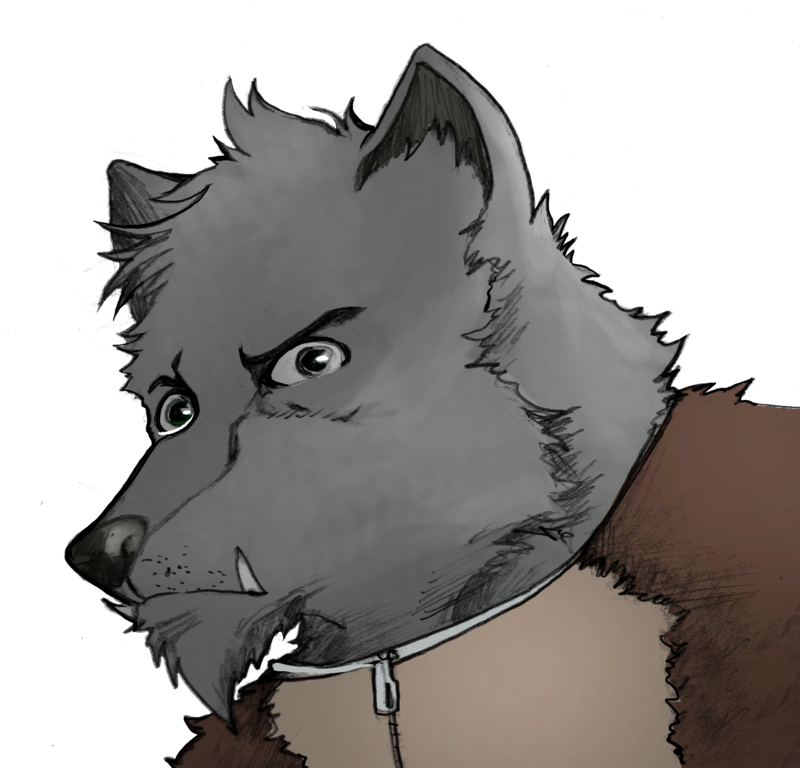 The character of Miles is fine. He's someone who's constantly trying to live up to the legacy that Peter left as Spider-man, therefore forgoing much identity himself. His origins are annoyingly similar, and his friends/villains rely heavily on a world already set up by a Peter Parker Spider-man. He really just feels like Spider-man-lite. Sure, his costume is absolutely badass, but what is there outside of that? 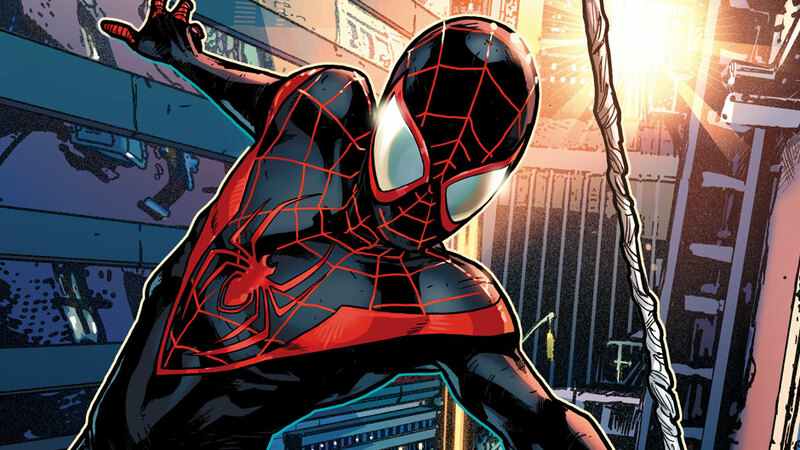 The comics are at the strongest when the side-characters are taking center stage, as Miles is more of a blank slate that can react off these much stronger personalities. It's just not something I look for in a lead character. As the years have progressed, we've gotten closer and closer to getting the Peter that Spidey fans know and love. 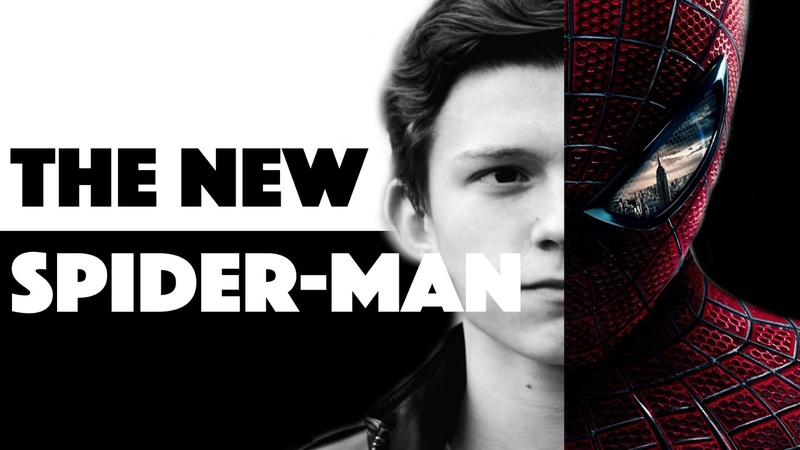 Now that Marvel/Sony has cast Tom Holland as the new Spider-man, we can only hope that the trend continues with him. Placing him in high school is a perfect opportunity to dissect some of the more interesting aspects of Spider-man that is usually ignored in lieu of a just being a backdrop to the origin story. Instead, what would happen to Peter's friendships if he is constantly ditching to fight crime? What about with Aunt May, who he's constantly having to lie to about his whereabouts? Would he tell his girlfriend (either Gwen or Mary Jane depending on where they take it) his big secret or just wait for his lies to destroy the relationship? What does that do to the mind of someone always trying to do right, but being punished for it instead? With the rumor that there's a plan for four Spider-man films, each taking place as a separate year of high school, I'm sure they'll rely on some of those aspects. But the most exciting of all -- outside of the announcement of no origin story -- is the new villains, who Kevin Feige has said will be no villain from a prior film. That is great, because we need those villains set up as Spider-man villains before they can move onto other series'. 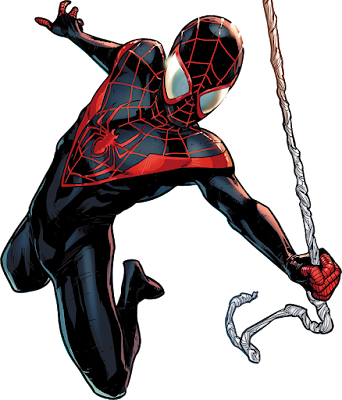 However, there is one time that I can see Miles coming into play (hence the yet in the title) and working: in the event that when Tom Holland's contract is up and he wants to do other things (four Spider-man films and five MCU films later), they can bring in Miles as a replacement, rather than casting someone else as Peter Parker. It's a fresh new way of bringing in a character -- as it was when they did this in the comics, if not a tad gimmicky -- while still paying respect to the films behind it. Plus seriously, audiences will love that suit. Game over.